Cherry A. Murray, the dean of School of Engineering and Applied Science, poses in her office Tuesday afternoon, hours after announcing that she will resign after the end of 2014. 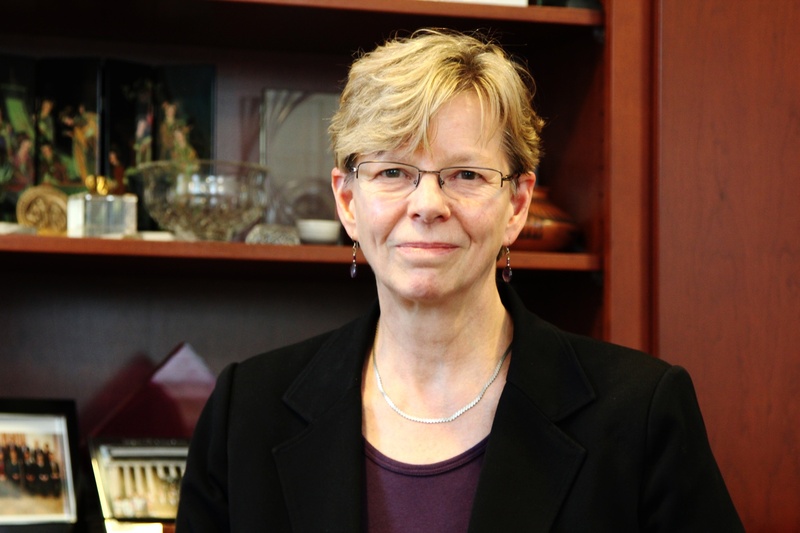 UPDATED: October 28, 2014, at 8:19 p.m.
Cherry A. Murray will leave her position as dean of the School of Engineering and Applied Sciences at the end of 2014, Dean of the Faculty of Arts and Sciences Michael D. Smith wrote in an email early Tuesday afternoon. Murray has served as dean since July 2009 and is the second school dean this year to announce her impending departure, following the news earlier this month that David T. Ellwood ’75 will resign as dean of the Kennedy School of Government at the end of the academic year. Murray said in an interview after the announcement Tuesday that she made up her mind to resign at the beginning of the term, in part to help ease the transition of whomever would succeed her in leading the School’s $450 million capital campaign and expansion into Allston. “It was not an easy decision, and I just decided I really have to do it now, mostly because…it's the very beginning of the campaign, a new dean could come in, the School would not even have a hiccup,” she said. In a letter addressed to colleagues earlier in the day, Murray wrote that her father’s recent death prompted a reevaluation of the rest of her career. “I began to assess how I wish to spend that time and concluded that I want to be less involved in day-to-day administration and more focused on accomplishing a few big things for which I have a real passion,” she wrote. Murray said that, while she will return to teaching after the new year, she may decide to “take a little breather” and not teach full-time immediately. Smith will appoint an interim dean in the coming weeks and begin a formal search for Murray’s successor later in the academic year, according to FAS officials. 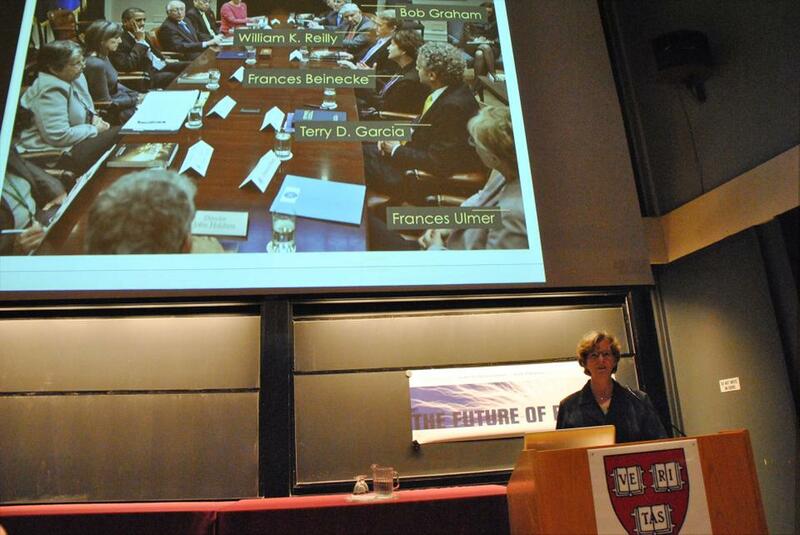 Whoever her successor turns out to be, Murray said he or she should be “an excellent fundraiser.” She added that the new dean should also be “someone who's interested in education and somebody who is going to move a large part of the School into a new facility," as two-thirds of SEAS faculty prepares to move to Allston. SEAS professors praised Murray on Tuesday afternoon after receiving the news of her departure, saying that she had ably spearheaded the school’s quick expansion during her tenure and positioned it well for continued growth. Under Murray’s tenure, the number of undergraduate concentrators in engineering and applied sciences more than doubled, while enrollment in SEAS classes tripled. The size of the school’s faculty has grown at a faster clip than any of FAS’s other divisions in recent years.